UKZN is a disciplined institution. It kept me grounded, gave me the best education and also made it possible for me to explore my entertainment interests during my spare time. UKZN is one of a kind. I’m proud to say I graduated from here,” he says. Khathi, who hails from KwaHlabisa in northern KwaZulu-Natal, began his music career while studying for a Bachelor of Social Sciences degree on the Howard College campus in the early 2000s. He recalls that, while his days were filled with lecture upon lecture, he still found the time to pursue his passion for music. He taught himself to DJ and dance at a young age and was involved in the South Africa Smirnoff DJ Knockout competition which was the foundation for his career. After releasing his debut album The Real Makoya, Khathi signed with Sheer Music/Big Dawg Productions for Durban Finest Vol. 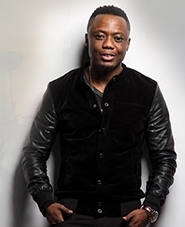 1 album in 2003, which is regarded as his best to date.Launching Afrotainment in 2008 put DJ Tira at the forefront of pop culture with platinum selling group Big Nuz, DJ Cndo, Fisherman and Joocy under his label, making him a music mogul to be reckoned with. He was also appointed as a KwaZulu-Natal Ambassador for putting his province on the map as a preferred tourist destination through the Arts.